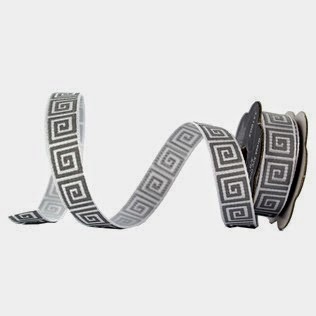 I've been seeing Greek key trim everywhere: pillows, curtains, upholstery... I'm thinking about adding some to my plain white living room curtains, but it sure doesn't come cheap. Many of the sources I found have it listed for upwards of $15/yard. And with four curtain panels to trim out, that adds up. MJ Trim. 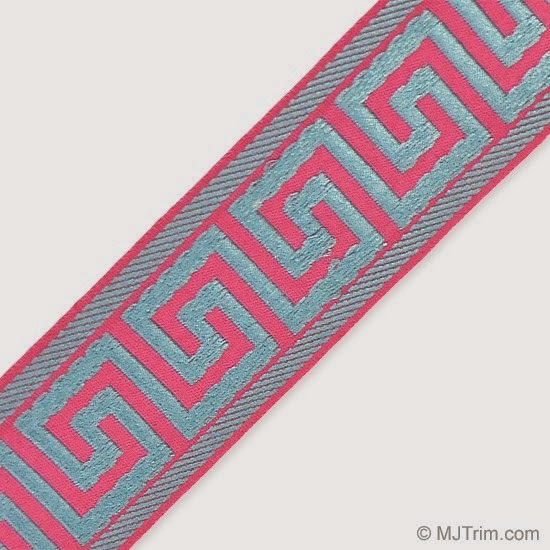 Seems to be the go-to for Greek key trim. At about $10/yard and with lots of color options, it's a pretty good option. This etsy store. Some of their trim is priced as low as $2/yard! Hobby Lobby. 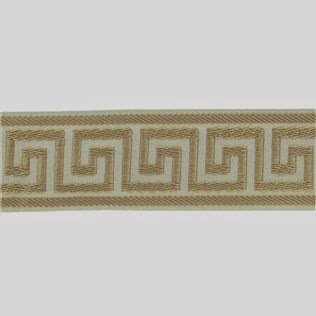 The trim above is $7/yard, but there is always a 40% off coupon, so it comes in closer to $4. In thicker widths this is the only colorway online, but maybe they have more options in stores? 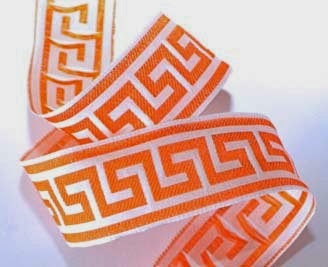 HL also has thinner widths (3/8") in several different colors for just $.50/yard. Any other good sources that I missed? I'm still on the hunt, so I'd love to know!